Break a leg! Gyles Brandreth’s latest one-man show won 5 star reviews and enjoyed a total sell-out season in Edinburgh in 2018 and tours the UK in 2019, presented by Bound & Gagged Comedy. 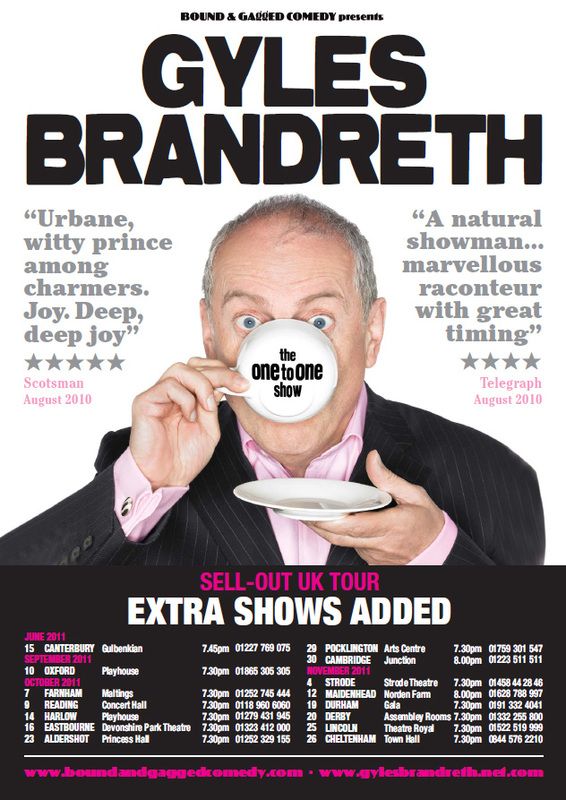 If you are a theatre or festival wanting to book one of Gyles Brandreth’s one-man shows, get in touch.